BLUFFTON, S.C. - Oct. 12, 2018 - PRLog -- Join the cool cats (and dogs) of Palmetto Animal League for the 3rd Annual SubieStock concert event supporting pet rescue from 5:30-7:30 p.m. on Thursday, Oct. 18, at Peacock Subaru Hilton Head at Peacock Auto Mall in Bluffton. "As a Palmetto Animal League Partner in Rescue, Peacock Subaru embraces our compassionate, no kill mission," said PAL President Amy Campanini. "SubieStock is far more than just a great time. 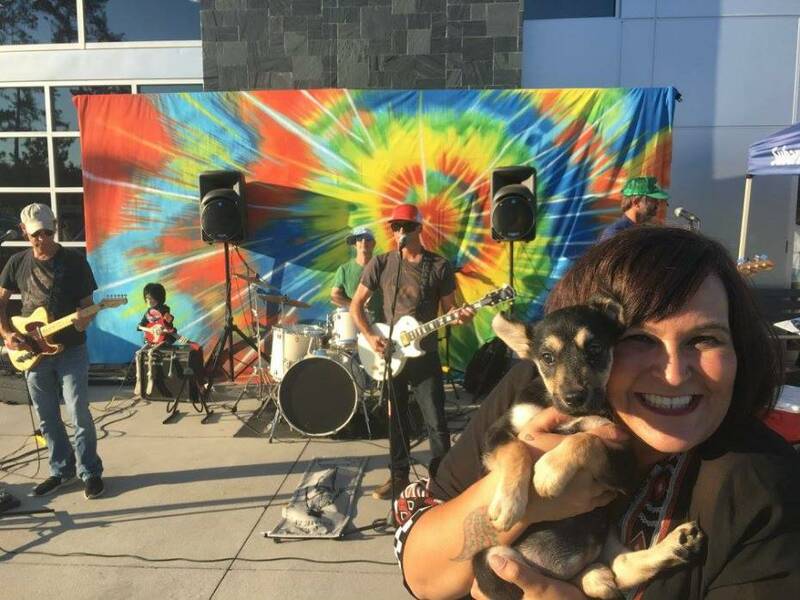 This event gives community members the power to save animals' lives by adopting, donating, or simply by spreading the word that homeless pets are lives worth saving!" The first 100 people to arrive at SubieStock with a pet supply or monetary donation for PAL will receive a free tie-dyed T shirt. The party is "BYOD" – Bring Your Dog – Guests are invited to bring their own dogs to the party, as Peacock Subaru Hilton Head is a dog-friendly dealership. "Subaru Loves Pets is more than a motto," explains Jill Jauch, advertising and marketing manager at Peacock Automotive, which owns Peacock Subaru. "Helping homeless animals is something all of us at Peacock Subaru care about, as many of us have rescue pets of our own. We love meeting all of the dogs that our guests bring and watching them fall in love with the adoptable dogs, too." Attendees may RSVP to be eligible for great door prizes at https://subiestock2018.eventbrite.com. "We're looking forward to our 'peace, love and pet rescue' event," said Jauch. "It furthers our 'Subaru Loves Pets' mission and helps support the great work that PAL does in our community." Palmetto Animal League is a private, non-profit, no kill animal rescue organization that believes every animal deserves a second chance at life. PAL's Adoption Center, located in Okatie's Riverwalk Business Park, serves as a temporary residence for approximately 200 dogs and cats while they wait to find a loving home. This comfortable, upbeat facility is also home to PAL's Community Clinic, which offers spay/neuter, wellness exams, vaccines and other vital services to pet owners at affordable prices. In addition, Palmetto Animal League manages a network of loving foster families to house and care for abandoned animals and operates the PAL Thrift Store in Sheridan Park where great buys save lives. Join the No Kill movement at www.PalmettoAnimalLeague.org.